heart of this special Southern Colorado mountain community you will discover The Springs Resort & Spa. This exceptional resort is family, pet, and wellness friendly featuring seventy-nine rooms and suites. 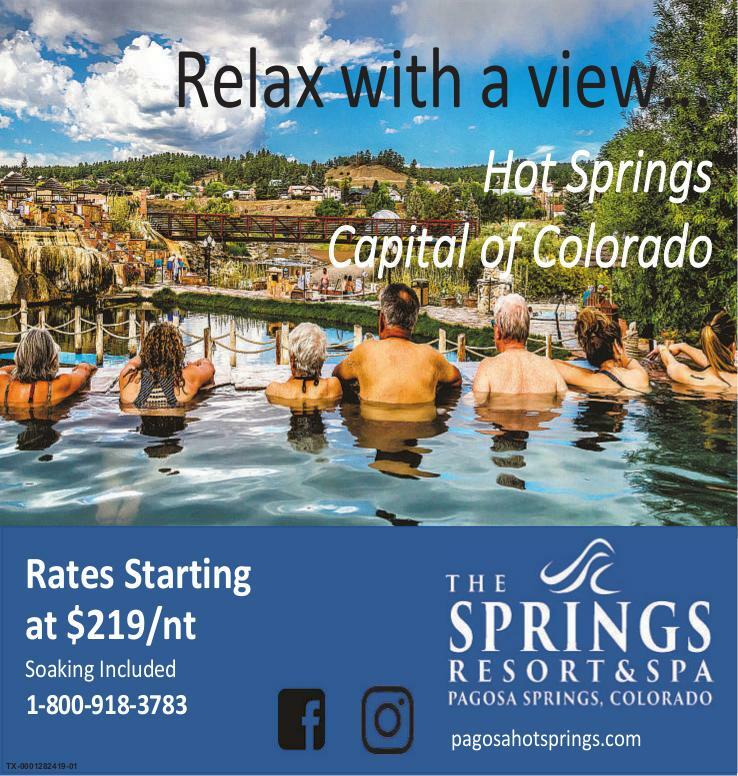 The real jewel of Pagosa Springs, and The Springs Resort & Spa, are the twenty-three 100% naturally fed geothermal hot spring pools. These one of a kind pools vary in temperature and receive their rich mineral waters from the world’s deepest geothermal hot spring located near our Luxury Lodge. This source is known as the “Mother Spring”, whose healing properties have been the life blood of the region for millennia. Create lasting memories and one of a kind experiences while staying with us at The Springs Resort & Spa. Fill your day with an early morning trip to our café for coffee and breakfast, take a morning soak in a hot spring pool, take a leisurely stroll along the river trail, enjoy a hike up Reservoir Hill, and then pamper yourself with a massage or facial in the afternoon. "